These pictures where taken during a pilgrimage we made, the day Pope Francis was elected, to a nearby relic of the beginnings of Christianity in Cornwall, namely, the ruins of St. Piran’s Oratory in Perranporth. 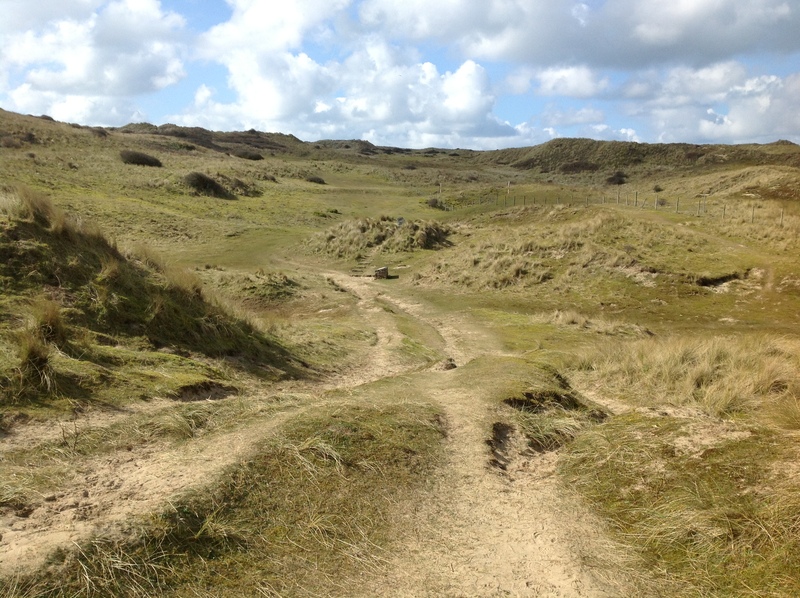 The area is characterized by rough sand dunes covered with thin grass, brambles and brush. The Oratory is now no longer visible but is marked by a stone memorial. When St. Piran escaped martyrdom and managed to reach Cornwall from Ireland, even though he had been thrown in the ocean chained to a millstone, he built the oratory in thanksgiving for his deliverance and in order to preach the gospel to the people of Cornwall. In the picture below, in the center and above, you can see the mound where the church is buried. This was done in order to preserve it from damage. The whole area is sand dunes covered by a thin layer of grass. Apparently it shifts quite a bit and the place where the church is floods frequently. There is a long-term plan to unbury the church and restore it. This entry was posted in Church, Churches, Photos, Religion and tagged Cornwall, Perranporth. 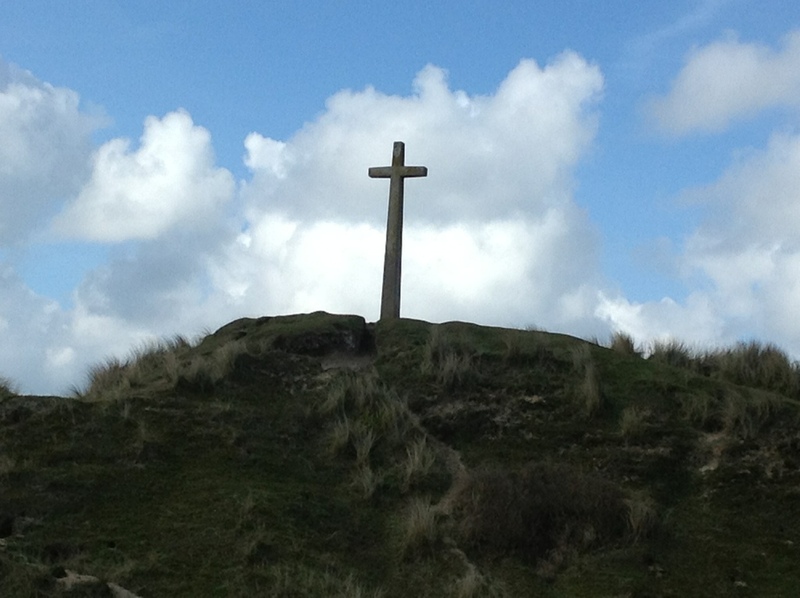 St. Piran, St. Piran's Oratory by Fr. Angelo M. Geiger. Bookmark the permalink. Very interesting! I love History and saint’s life! It’s incredible, wonderful that St. Piran could scape from death having been thrown into the ocean chained to a millstone! Indeed was a deliverance held by God. Perhaps through the intercession of his Guardian Angel. I like these pictures too.